63184MB JADA Import Racer! - Toyota Celica. 1:18 scale diecast model car. 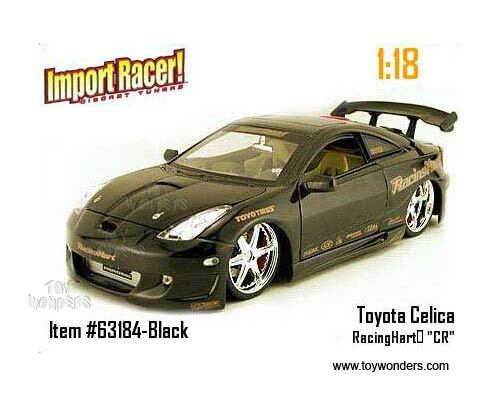 This Toyota Celica is a 9.5" long x 3.75"W x 2.5"H diecast tuners with opening doors/hood/trunk, Racing Hart rims. Window box packaging WB. On a display platform. 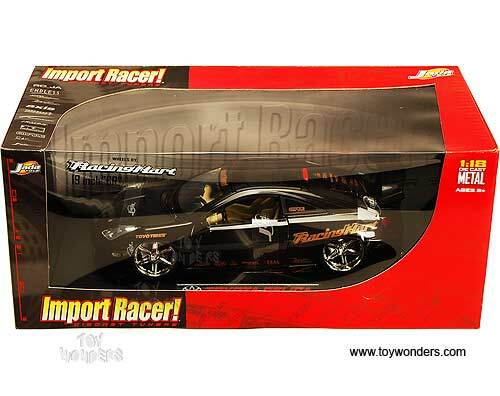 This Toyota tuner/sports car is manufactured by Jada Toys. 3 pcs per inner box. 63184 in BLACK color. Individually packed in a window box.